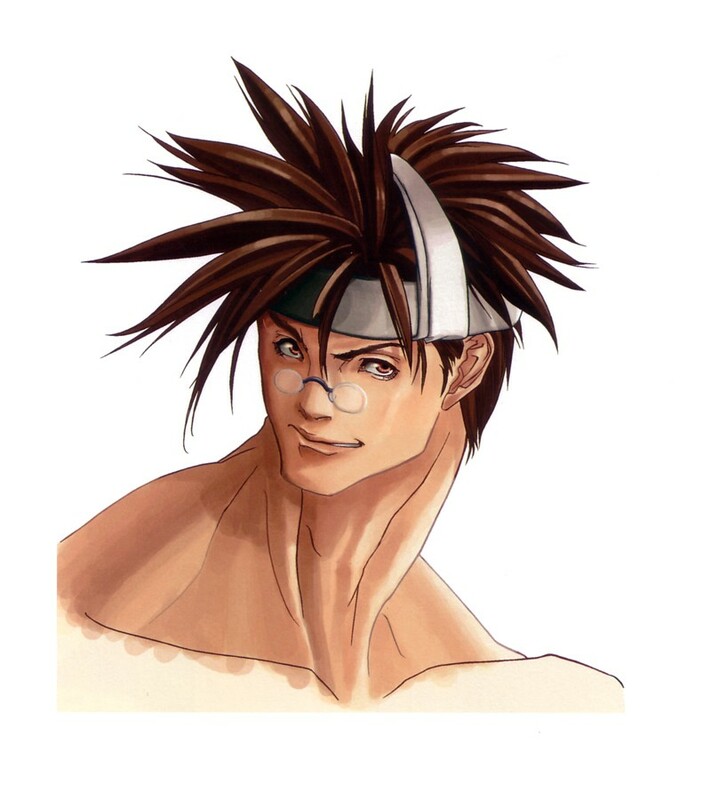 Anji is one of the few that have inherited the precious Japanese blood. 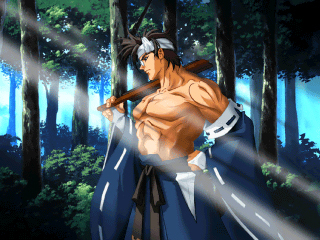 Because there are only a handful of Japanese in this time period, they are under government protection. 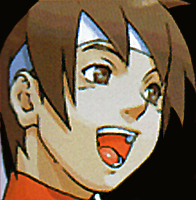 Thus, they do not receive the same treatment as regular citizens. 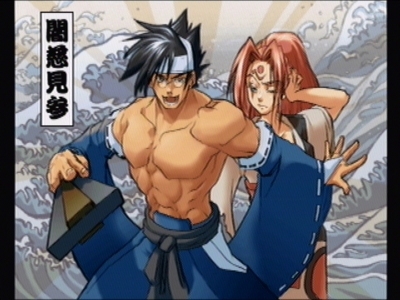 Within the Japanese community, there are those that accept this treatment, and those that reject it. 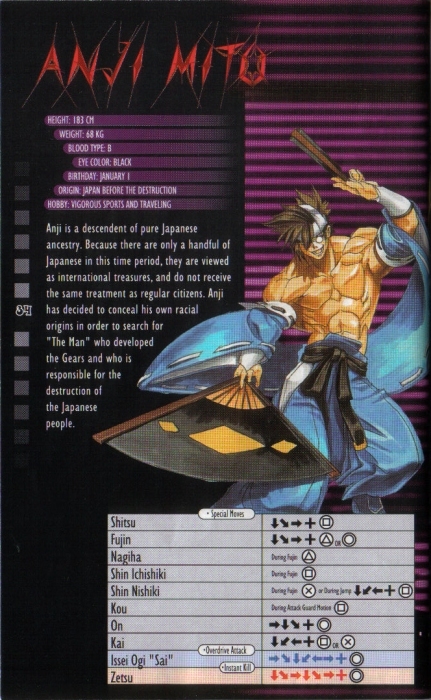 Anji is part of the latter; rather than being concerned about the preservation of his race, he wants to regain his freedom as a human being. 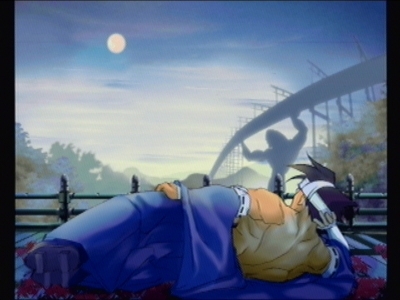 Because of this, he disguises his nationality and travels the world in pursuit of "the man" known to have created the Gears and who is responsible for the destruction of the Japanese people. 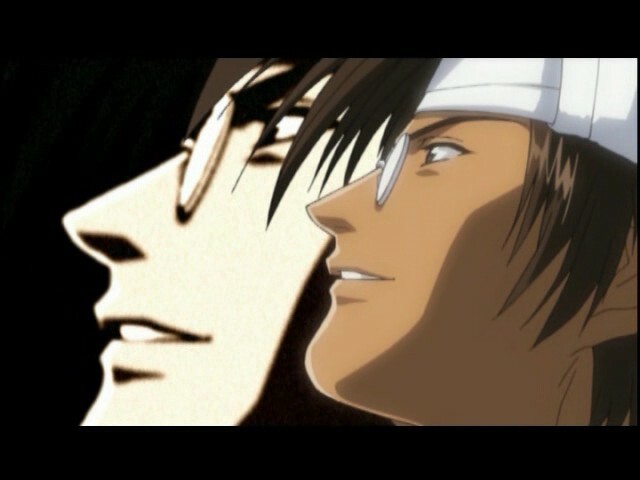 However, he pursues him not out of hatred or revenge. 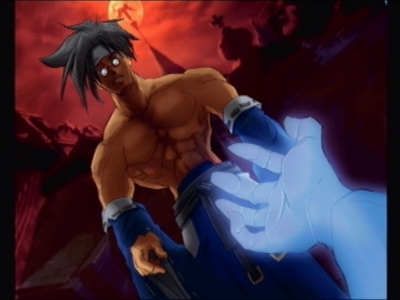 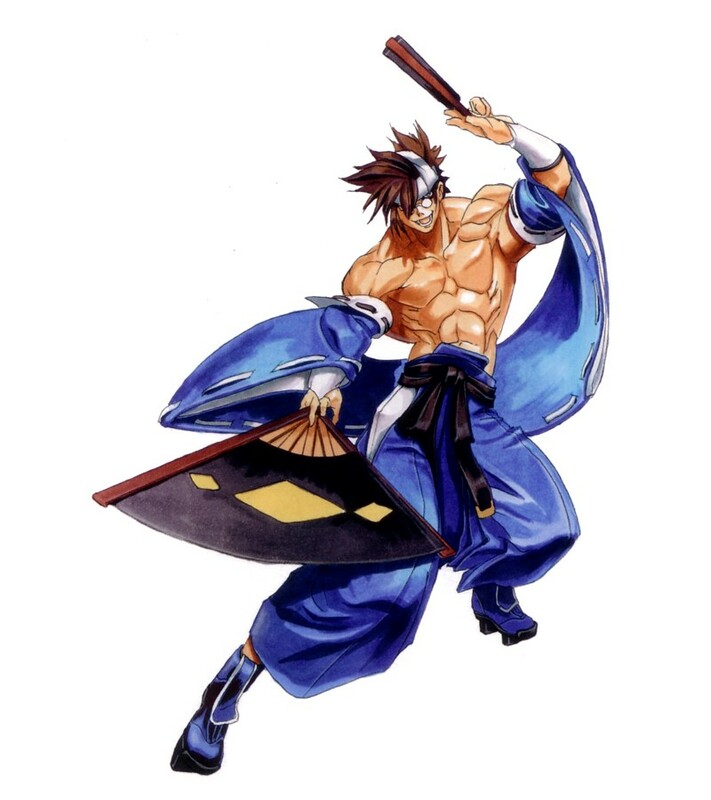 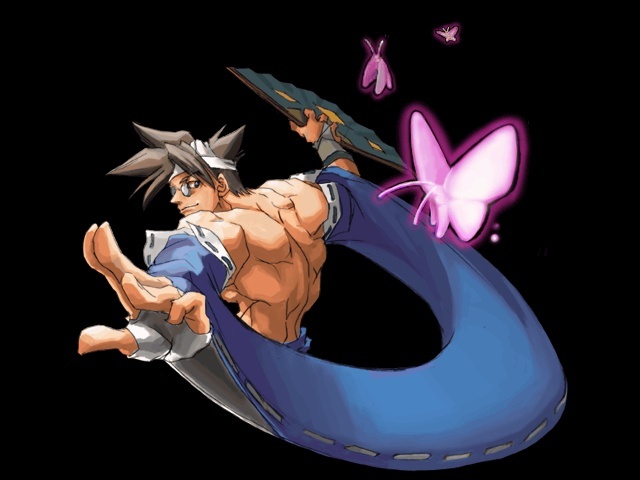 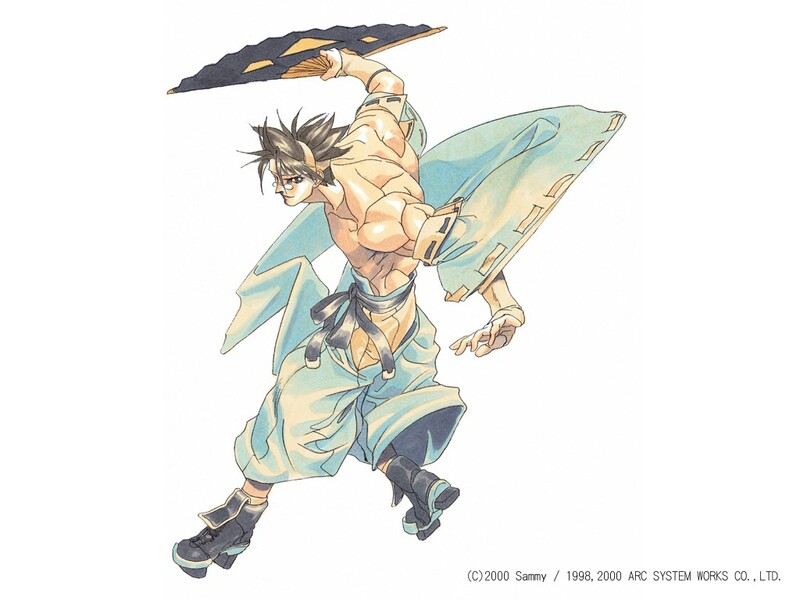 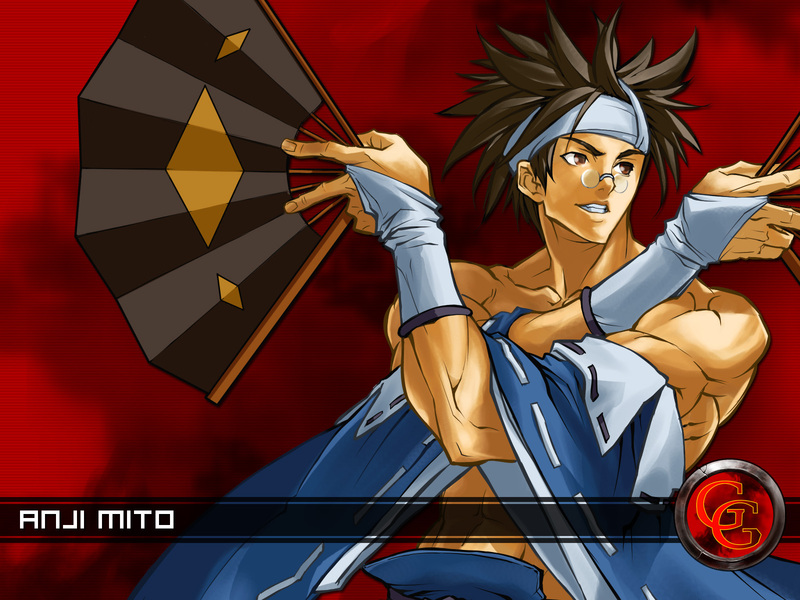 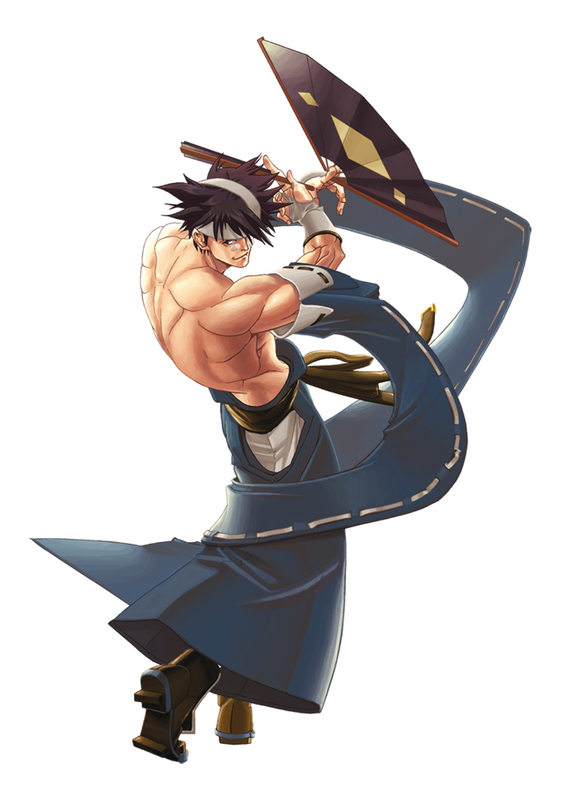 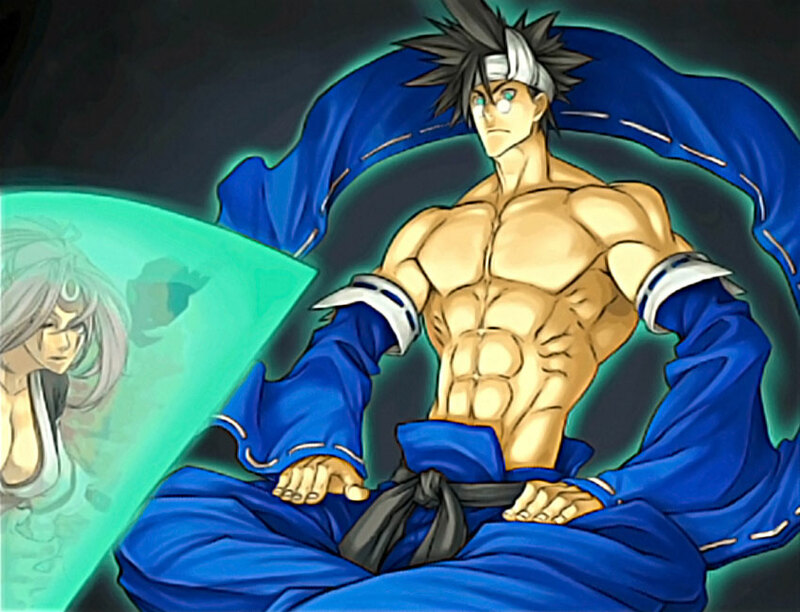 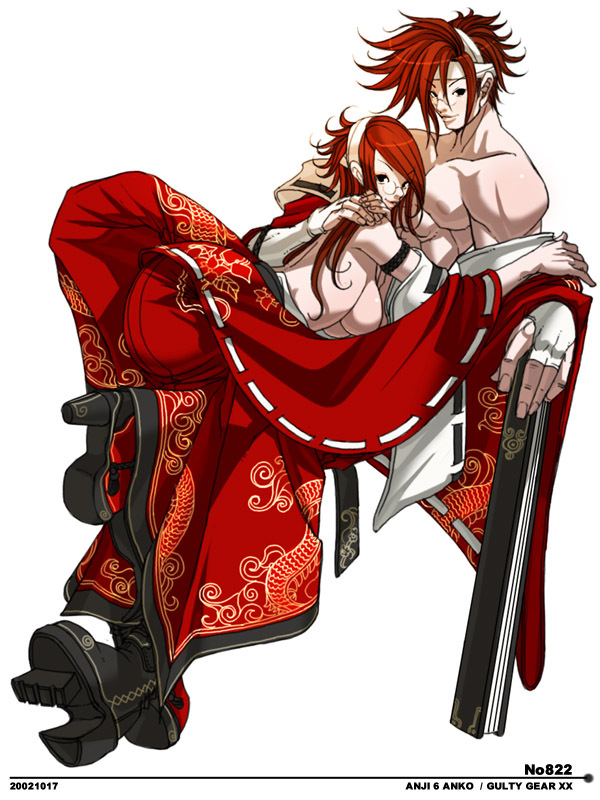 Anji is yet another obscure Guilty Gear character, but not quite "obscure" the way others from his series are. 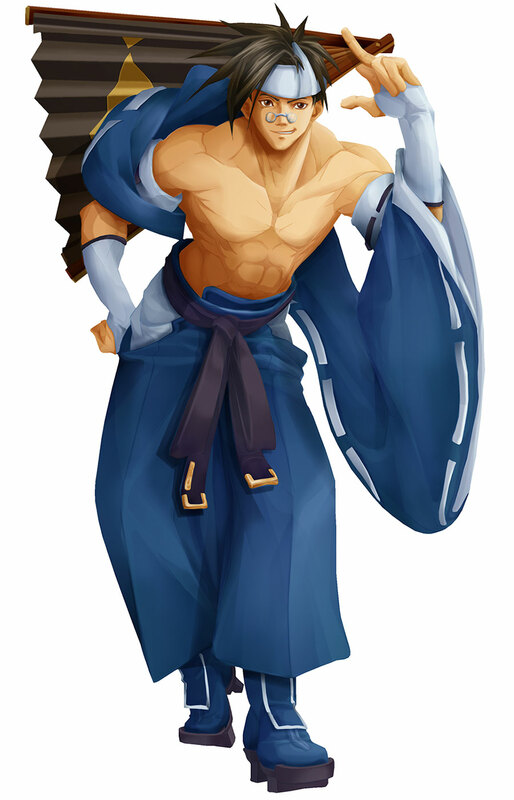 Yeah, he's clearly quite the girly man, you could say. 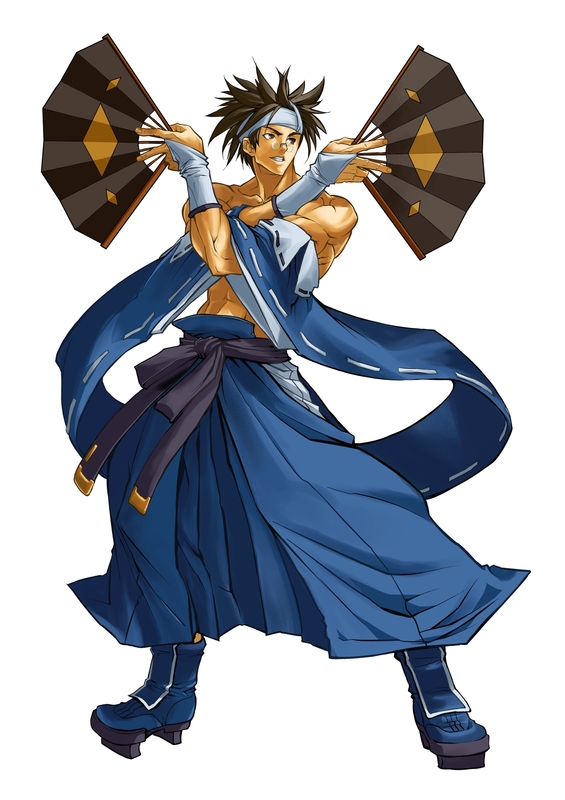 Anji has his fair share of girly mannerisms, and he's fighting with fans to top it all off. 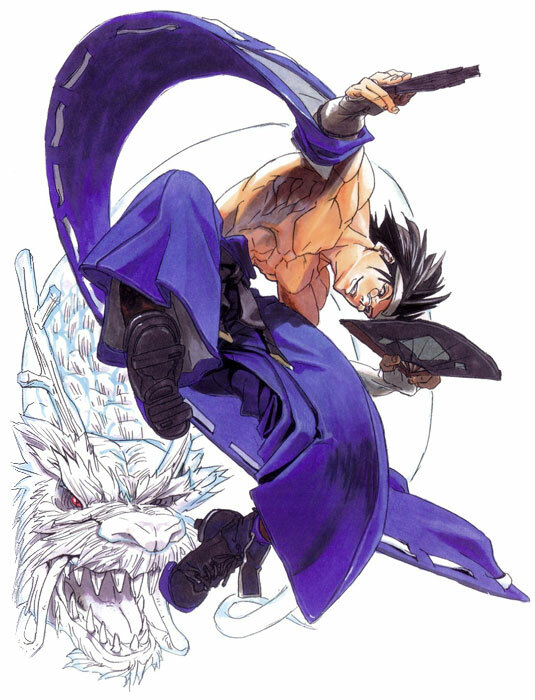 There's more to his design than just that of course, but to be honest, I'm not a huge fan of the design (and I know I'm not the only one). 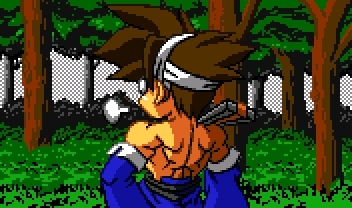 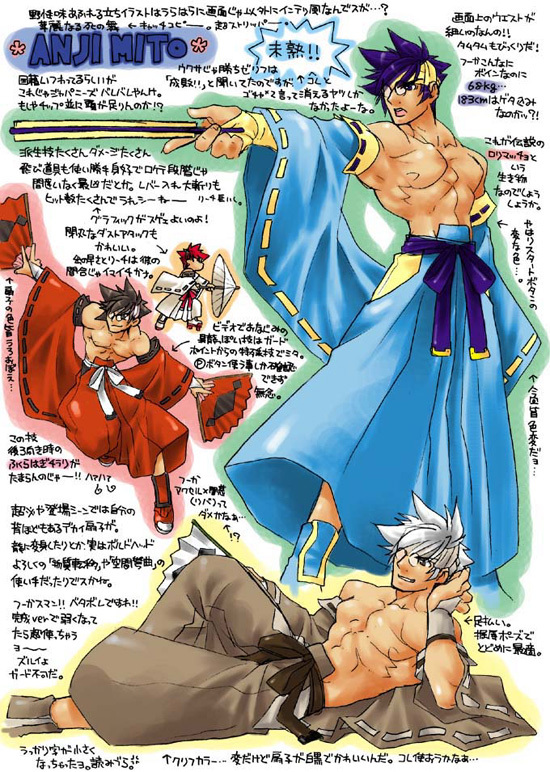 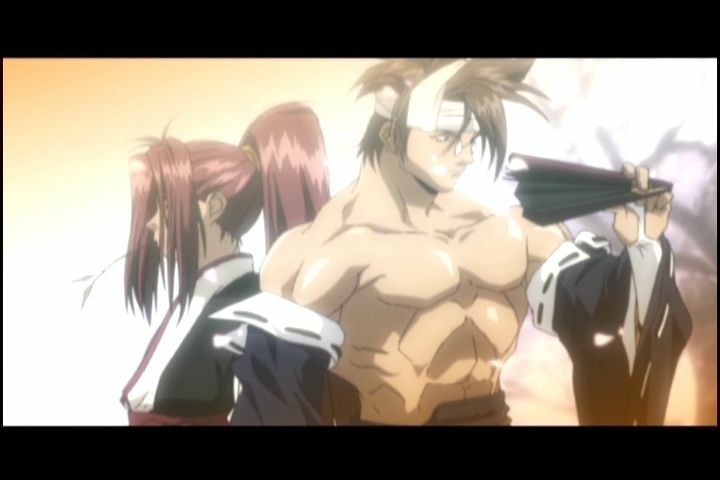 Anji is very much overshadowed by many other characters from his series, and others.